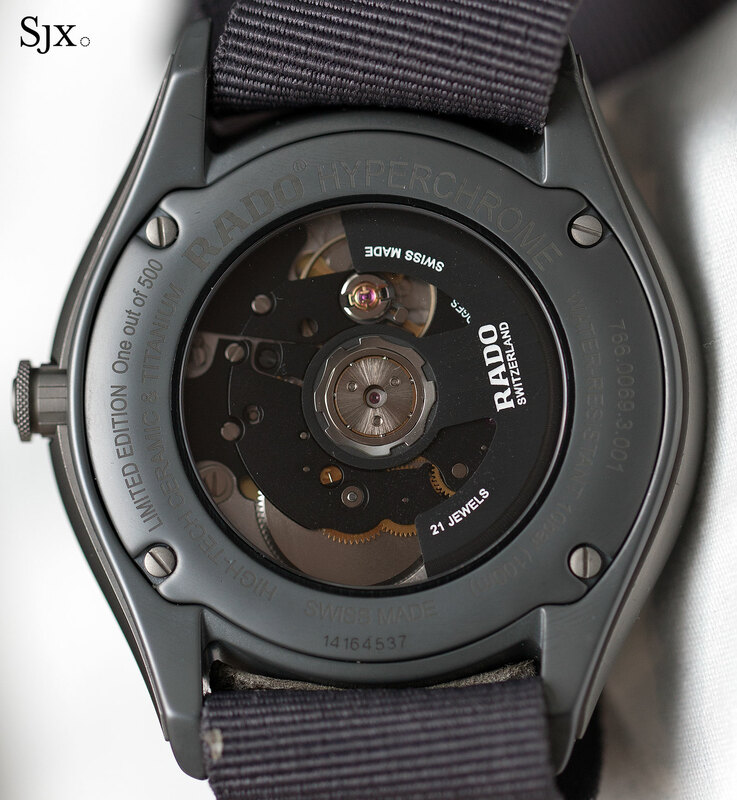 At just 56 grammes – that’s just under 2 oz – including the strap, the Rado HyperChrome Ultra Light lives up to its name. 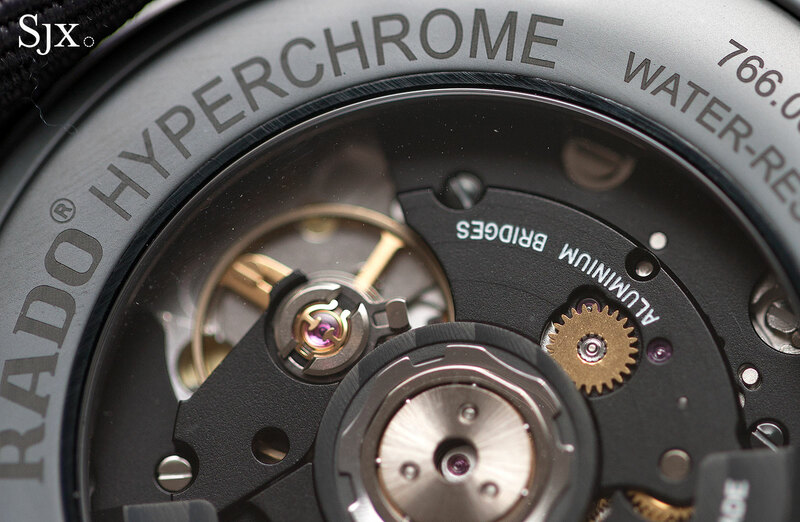 A lot more watch than its trifling weight suggests, the HyperChrome Ultra Light is made of novel materials typically found in more expensive watches, including a movement with aluminium bridges. 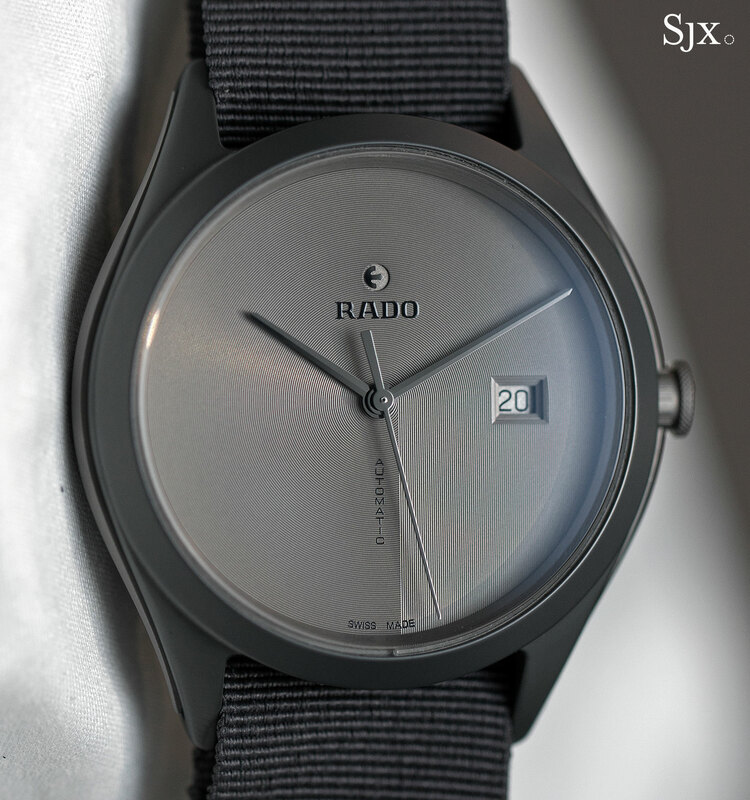 Best known for its glossy ceramic watches, Rado is one of the two watchmakers in Switzerland that makes its own ceramic cases (the other is Chanel, via its subsidiary G&F Chatelain). The HyperChrome Ultra Light is made of ceramic, but of an exotic sort, with the case is a combination of silicon nitride and titanium. Silicon nitride is a type of ceramic produced by heating silicon in a nitrogen atmosphere, creating an extremely hard and light material. It’s half the weight of steel, but several times as hard, making it essentially scratch-resistant. Used for the case middle and back (the bezel and middle are a single, sintered piece), silicon nitride is dark grey with a hint of blue. 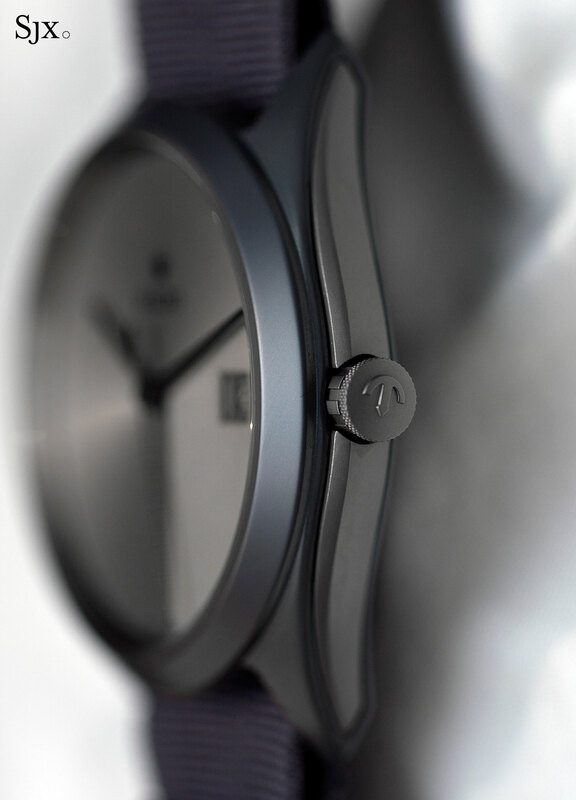 Titanium inserts, distinguished by their lighter grey tone, are inlaid on the sides of the case. The crown is also titanium. Though the case is a largish 43mm in diameter, the watch feels significantly smaller and needles to say, exceptionally light on the wrist (save for the strap, more on that later). Even more intriguing is the aluminium movement. It’s an ETA A31.L01, an automatic that’s an upgraded version of the ETA 2892, with the primary improvement being the extended 65 hour power reserve. 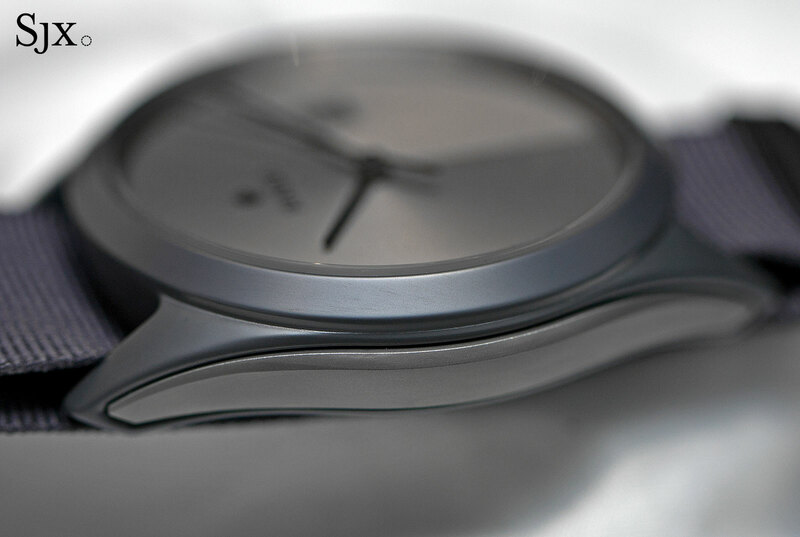 While the movement is mechanically identical to the A31.L01 found inside other watches, including the recent Longines RailRoad, it is unique – all its bridges are made of black anodised aluminium. The use of aluminium helps keep the watch light, since aluminium is significantly less dense than brass, the traditional material for bridges. Though not new in watch movements, aluminium is rare and typically found in movements inside extremely pricey watches from the likes of F.P. Journe and Richard Mille. The least striking bit of the watch is, unfortunately, the dial. It features a concentric motif that sweeps downwards on one side, making it reminiscent of a brushstroke. But the hands are plain and baton-shaped, making them uninteresting. And the date window afflicts the dial, sitting too close to the centre of the dial, and also looking very out of place. Another ill-advised detail is the dark grey NATO-style canvas strap. Since a NATO strap is made up of two layers of canvas, one of which loops under the watch, it makes the watch thicker and clunky. A thin rubber strap would be ideal. 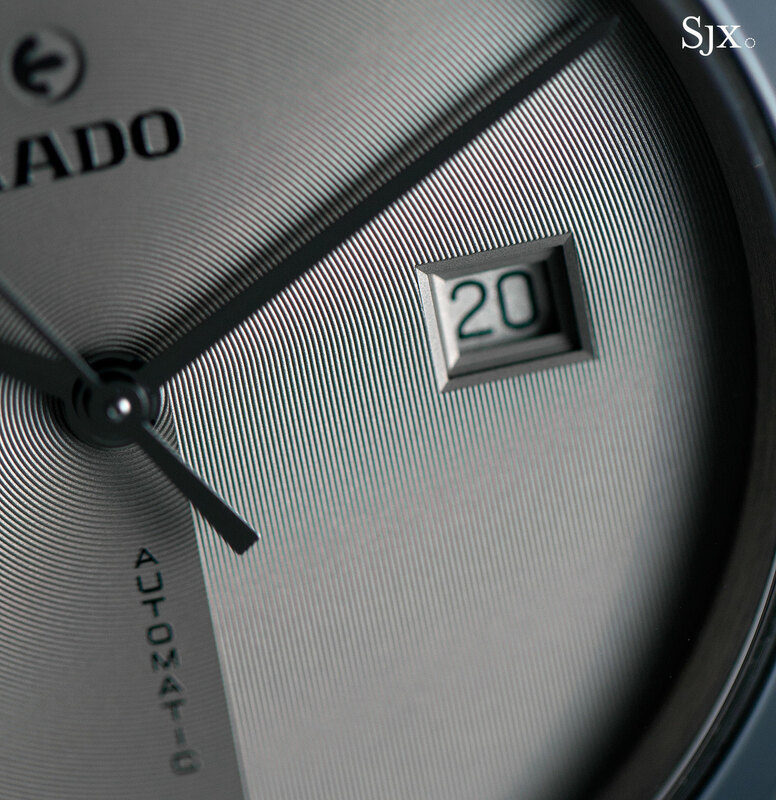 The HyperChrome Ultra Light is pricey relative to the average Rado, but a lot of watch for the money – despite being just ten sheets of paper – given the novel materials. Limited to 500 pieces, the HyperChrome Ultra Light (ref. 766.0069.3.111) is priced at US$2850 or S$4420. 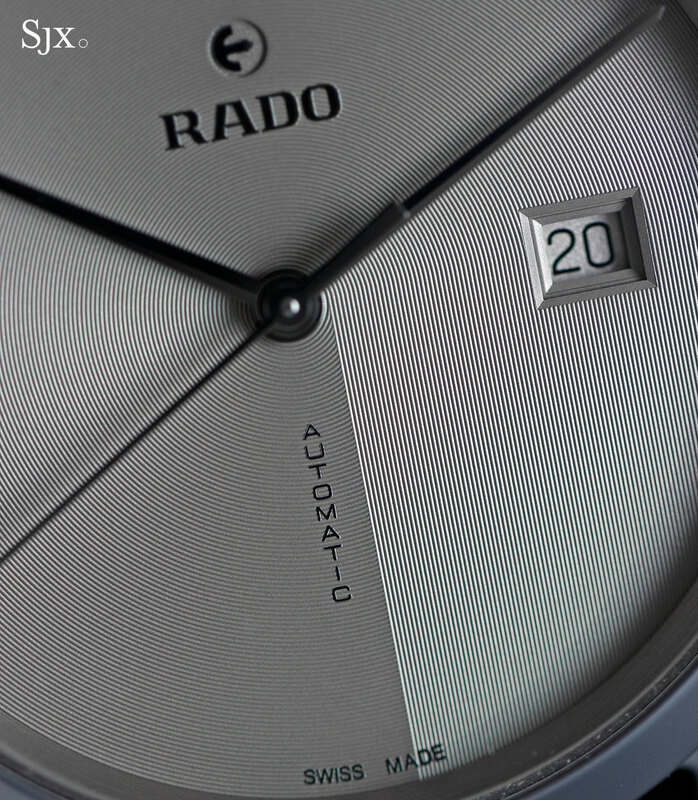 It will be available in the last quarter of 2016 at Rado retailers and boutiques.